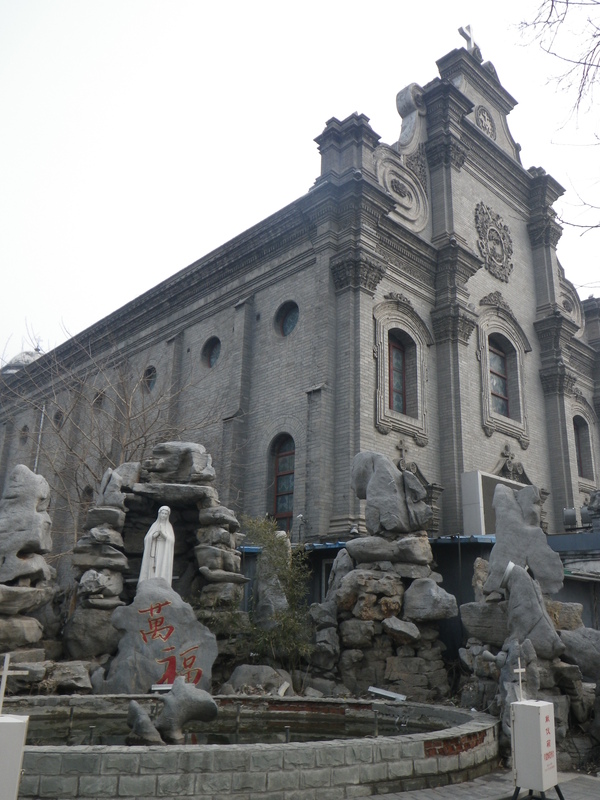 The Cathedral of the Immaculate Conception (Chinese: 圣母无染原罪堂), colloquially known as the Xuanwumen church (Chinese: 宣武门天主堂; pinyin: Xuānwǔmén Tiānzhǔtáng) to the locals, is a historic Roman Catholic Church located in Beijing, China. 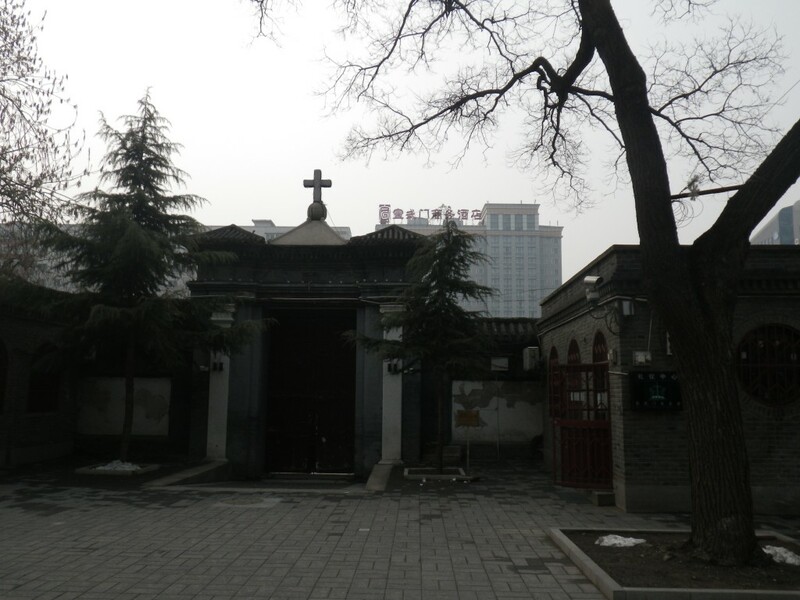 She’s also called “Nan Tang”, is the oldest existing Catholic Church in Beijing. 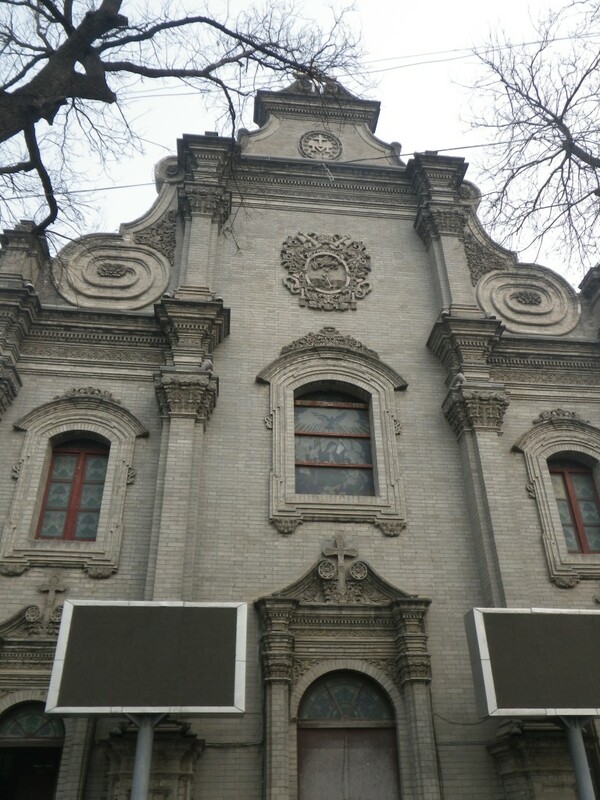 While the original foundation of the cathedral was in 1605, making it the oldest Catholic church in Beijing, the current building in the Baroque style dates from 1904. The present Archbishop Joseph Li Shan, installed in September 2007, is one of the few bishops openly recognized by both the Chinese Patriotic Catholic Church and the Vatican. In 1904, the present structure was completed, the fourth church on the site. On 21 December 1979, Bishop Michael Fu Tieshan was consecrated in the cathedral, the first major event in the life of the Catholic Church in China after the Cultural Revolution. 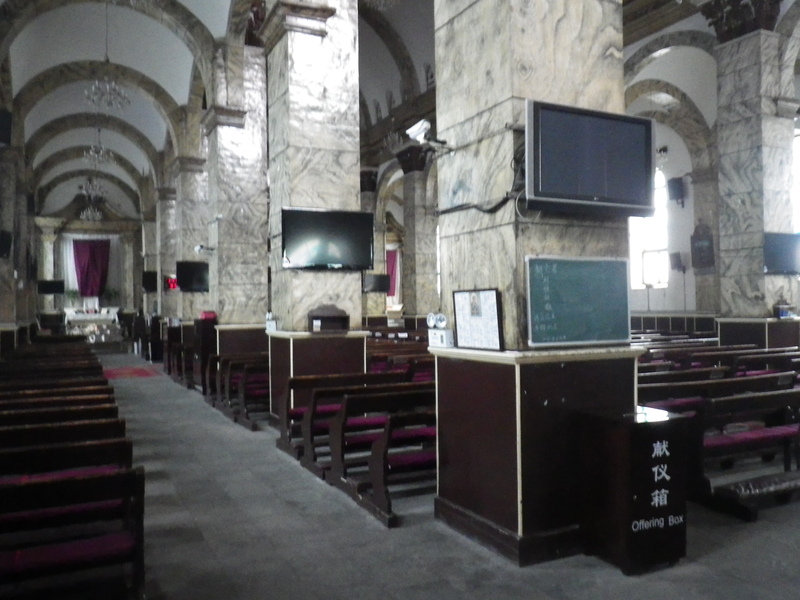 The cathedral is possibly the best known to foreigners in China, as English-language masses take place there. Monday to Friday: 6.00 am in Latin, 6.30 ans 7.15am in Chinese. Sunday: 6.00am in Latin,7.00 am and 8.30 am in Chinese, 10.30 am and 3.00 pm in English, 12.30 pm in Italian. Sacrement of reconciliation International Mass: half an hour before Mass starts until Homily begins. Church of the Savior, or Xishiku cathedral. Where do you buy furniture or stuff for a renovation in Beijing? Thanks Peter for sharing your posting of this beautiful Church. 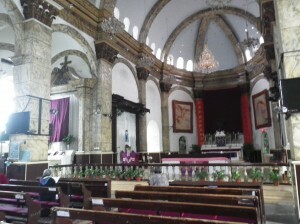 If I do visit Beijing again, I would love to celebrate the Eucharist in ‘Nan Tang’! Thanks Peter for your posting. Beautiful. Anthony was kind enough to share the pictures and the info with me on ‘Nan Tang’. 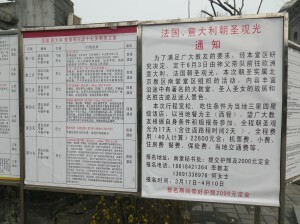 I guess, reading on, what impressed me was the fact that there are already Masses in Latin in China!. Here there are moves to re-introduce it. I recall when we were young the Masses were conducted in Latin starting with “Asperges Me”……. I live in Lexington, South Carolina, USA. I attended Mass Christmas Day 1999 at your wonderful Church. My niece, Junhan Cheng,12 years old, who is studying now here in the US was baptized, confirmed, and received her first Holy Communion at this Easter Vigil 2015, at Corpus Christi Catholic Church, Lexington, SC. She will be back in Beijing for the summer and my hope is that she attend Mass on Sundays. Can we begin some correspondence that might help her meet someone close to home so that she can get help to get to Mass? 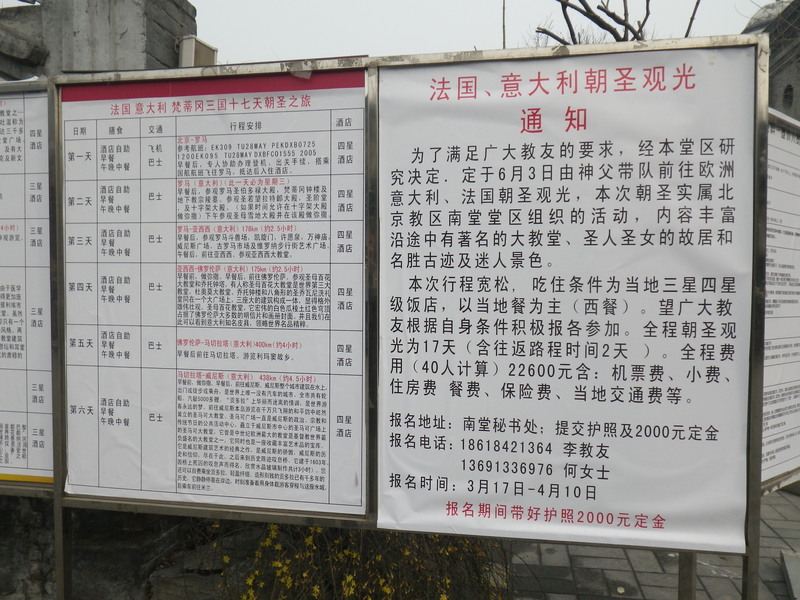 Hi for English Service, you can either go to Xuanwumen church or to the Canadian Embassy on Sunday morning. I am a Roman Catholic from South India of Chennai City. Regularly visiting all parts of China. Now in Beijing. I browsed this church. I will visit this soon. 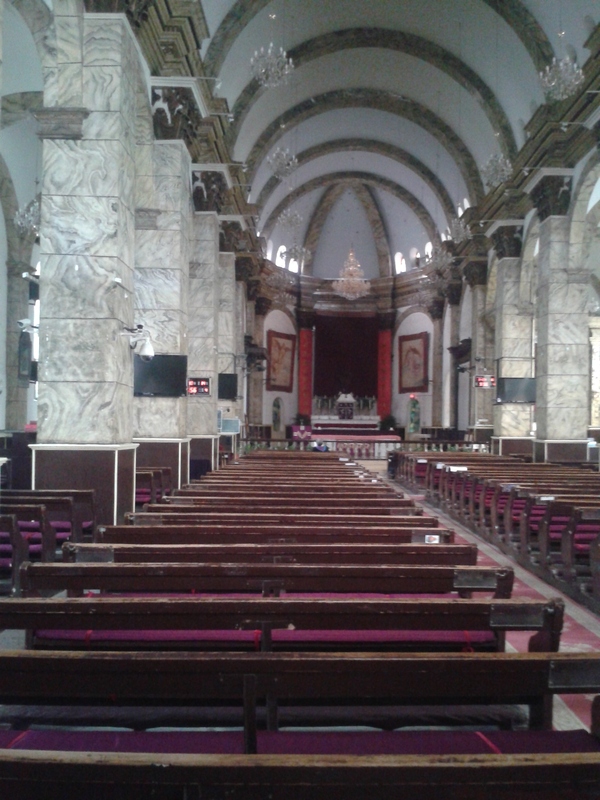 I went to Sunday Mass here in 1985. There were 3 Catholic priests in our tour group–they had been in seminary together–and one of them was the pastor of a church in Hong Kong. 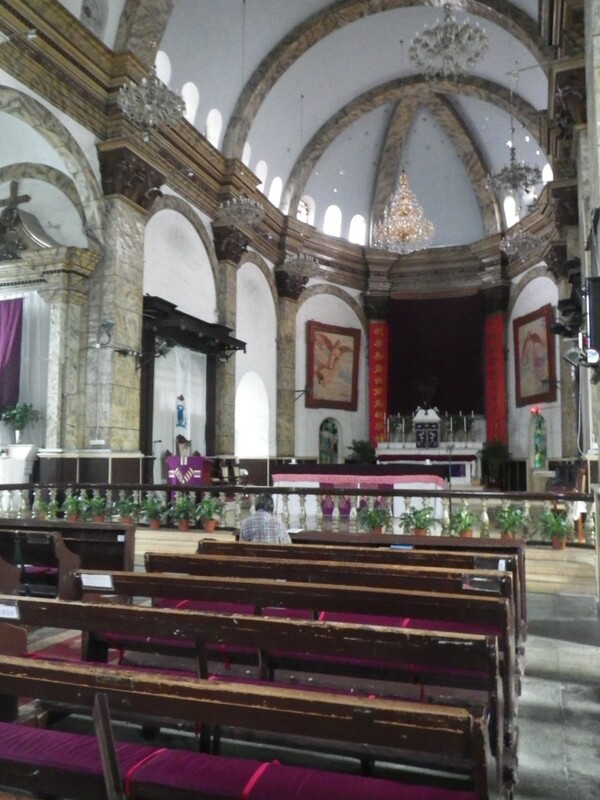 He told me this church remained open during the cultural revolution because the Italians and French demanded a place for their diplomats to attend Mass. The Mass I attended was in Latin. It looks like they’ve made some improvements and restoration of the church–it was very austere and devoid of decorations when I was there. Women sat on one side and men sat on the other.